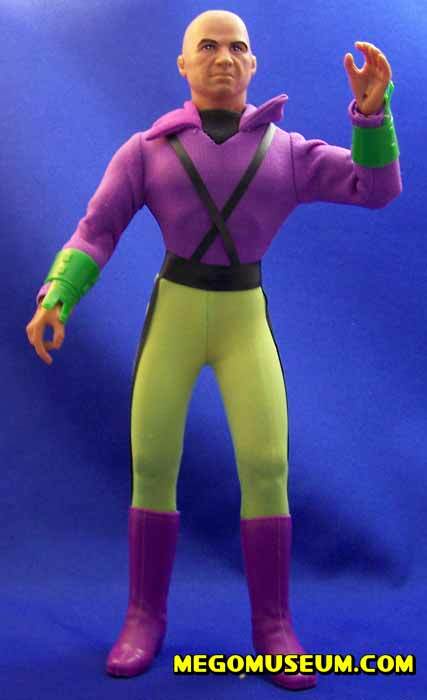 Mego chose to release Lex Luthor as he appeared in the comics which is probably a logical move, it’s likely the licensing rights to Gene Hackman were not included and let’s face it, a Gene Hackman action figure wouldn’t sell anywhere near as well as the Luthor from “Challenge of the Superfriends”. 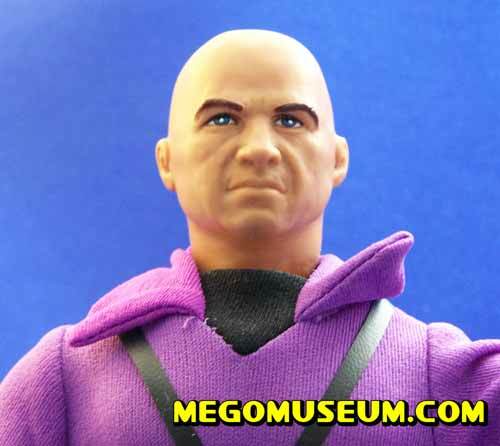 Head sculpt by Ken Sheller, one can see the resemblence to Hackman but it’s not overpowering, which seems intentional. 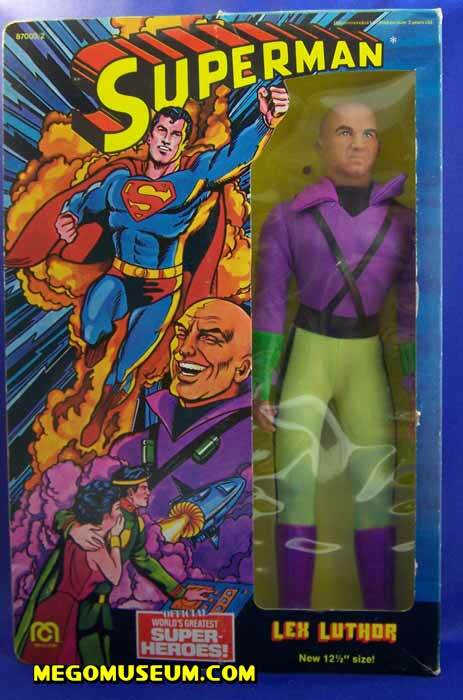 Luthor featured prominently on the packaging.